We sometimes have to wait too long in too many lines. The alternative is a free-for-all mob scene where aggressive behavior wins. I prefer orderly lines. We saw long lunch lines in a monastery in Myanmar (Burma), the most religious Buddhist country in the world. These young novice monks might be boys who entered monastery for short stints, or orphans being cared for by the monastery. 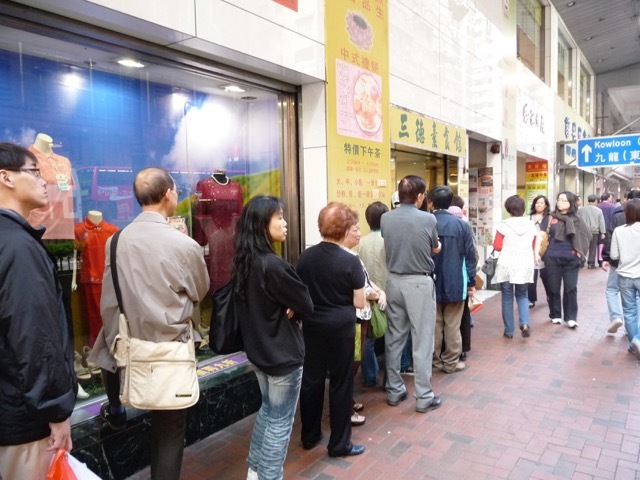 In less religious Hong Kong, people waited patiently to buy vegetarian morsels at a popular Buddhist eatery. 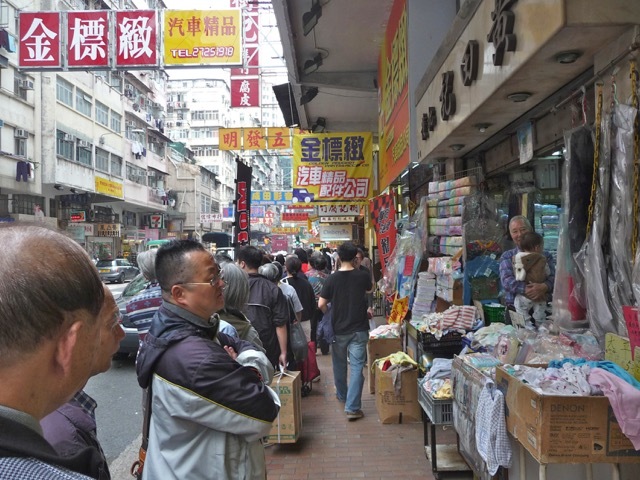 In another part of Hong Kong, three lines formed at three outlets of a restaurant on one block. 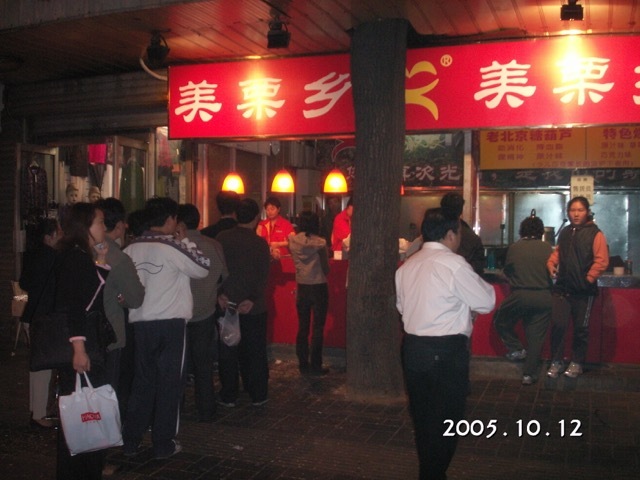 The restaurant is famous for its noodle in pork liver soup. 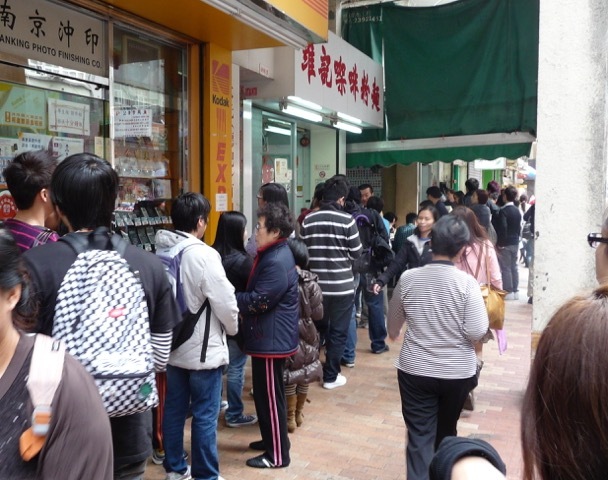 People waited in a long line to buy tofu products. 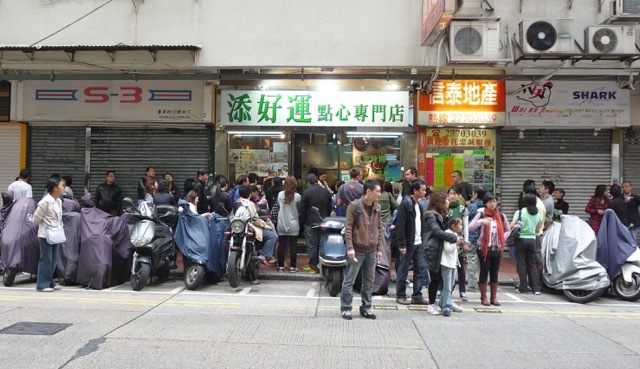 When this popular tofu store went out of business, a counterfeit store opened nearby to steal its craving clientele. 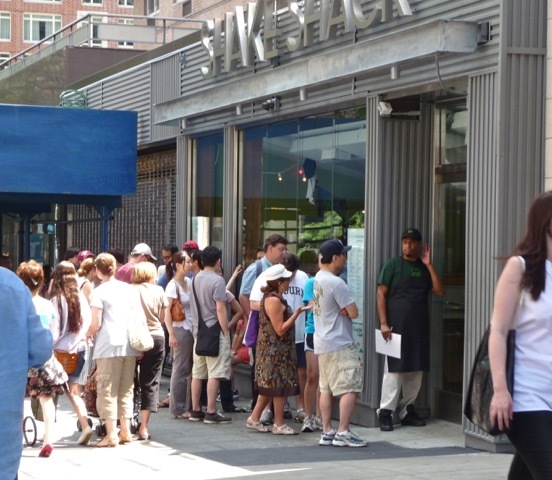 When this branch of Shake Shack opened in New York City, many people waited for its deservedly famous hamburger. 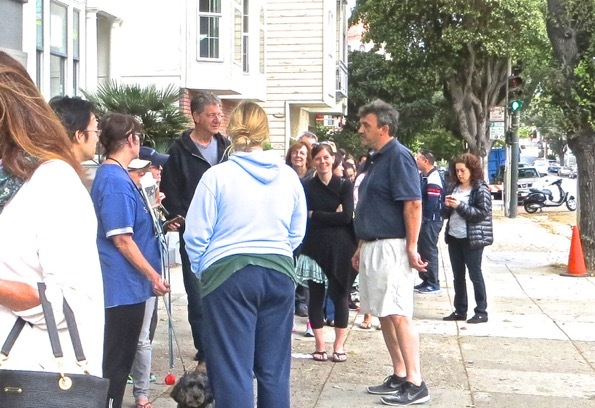 Near a popular park in San Francisco, a line wraps around the block at all hours to buy ice cream. I adhere to the adage that the best food is found where truck drivers (or locals) eat. When I saw this line in Beijing, I stopped the taxi and fell in line to buy delicious roasted chestnuts. 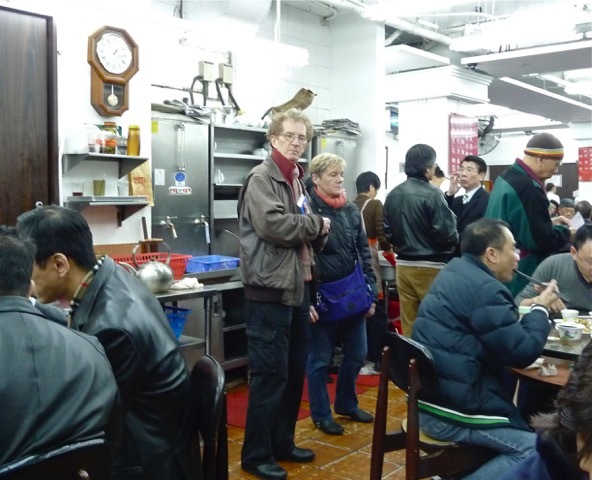 These tourists adopted the local custom and hovered above diners in an old Hong Kong teahouse. I wonder if eating under such duress would enhance or ruin the enjoyment of food. 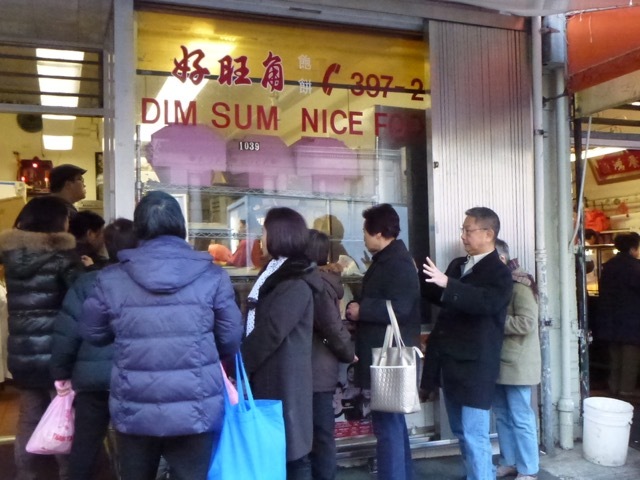 In San Francisco’s Chinatown, there is always a line outside this dim sum store. We joined the line and it is now our favorite store. Food rating web sites such as Yelp make or break restaurants. 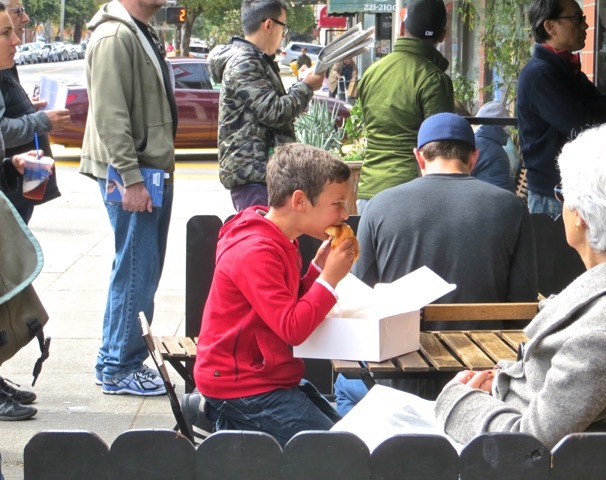 Tourists and locals flock to this tiny eatery, rated one of the best in San Francisco. My own experiences often contradict the ratings, so I view ratings with healthy skepticism. When this Hong Kong dim sum restaurant received one star from Michelin, it became an overnight sensation. We got our number and milled around for two hours before we were seated. We found the food to be very good, but most other dim sum restaurants in Hong Kong were just as good without the long wait. Bon Appetit magazine pronounced Arsicault Bakery in San Francisco as the best bakery in USA. That’s quite an accolade. I had to give it a try. When I arrived one morning, there was already a long line. 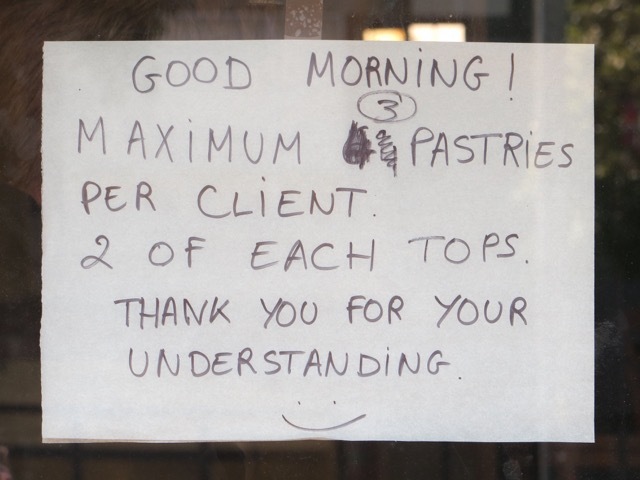 The owner of the bakery appreciated the patronage and chatted with people in line. 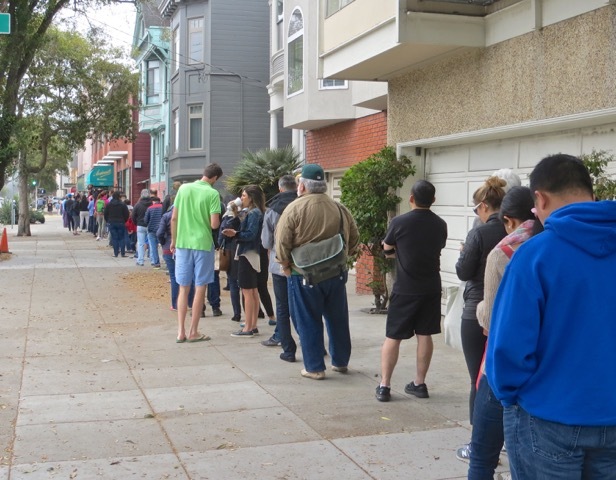 A passerby stopped to take a picture of this spectacle of the long line. 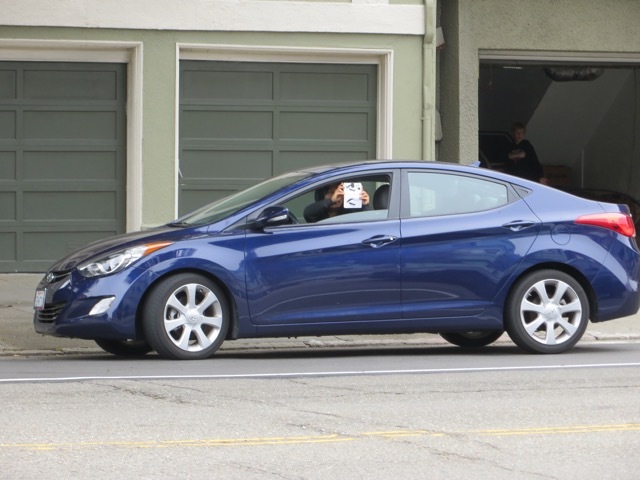 Another car drove by and the driver yelled out “It’s not worth it”. We laughed it off and stoically trooped on. A boy chomped into his croissant with relish. We looked on with envy. 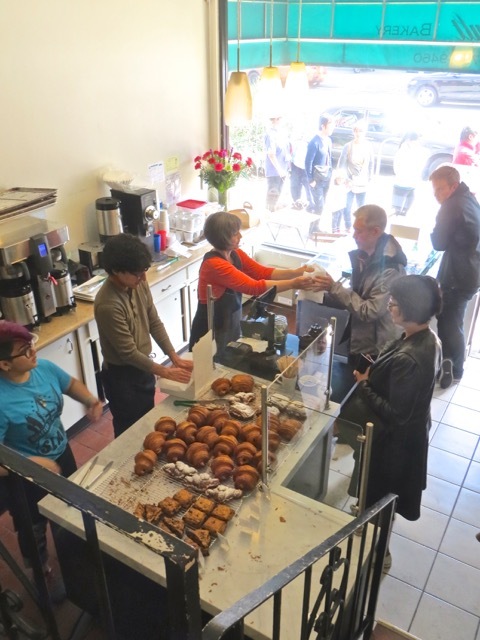 The shop is very small and it can produce only limited amount of pastry, causing the long wait. By the time I reached the store, I had waited three hours. To my dismay, there was a limit on how many I could buy. 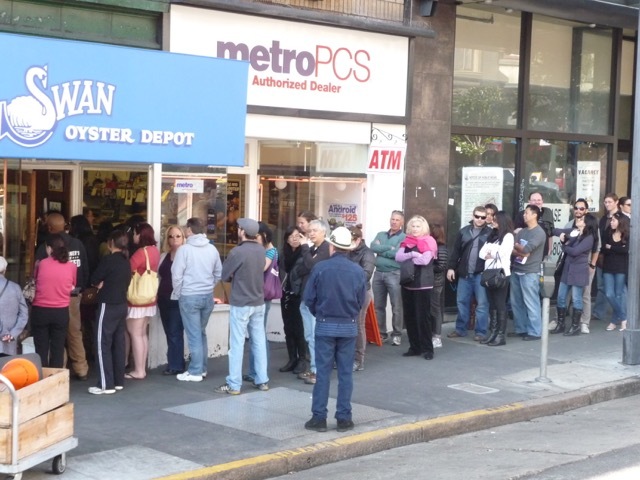 The store originally limited 6 per customer, then revised it to 4, and finally settled at 3. I would have bought a dozen if I could. I bought two almond croissants and one chocolate croissant. I waited one hour per croissant. San Francisco has a minimum wage of US$13 per hour. 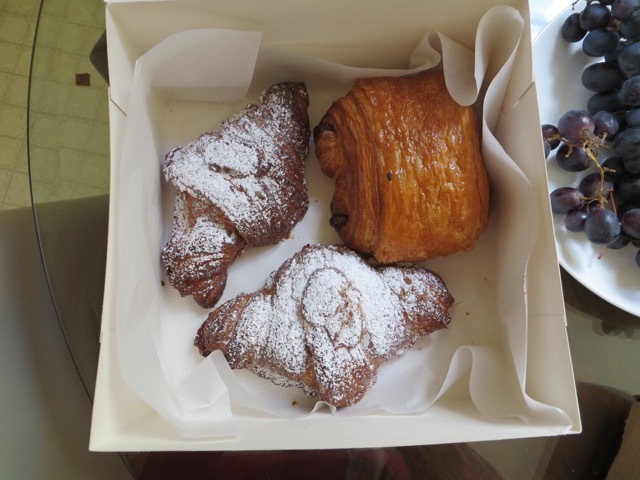 At that rate, these croissants costed me at least US$18 each. With great anticipation, I bit into my almond croissant. It was very sweet with fair amount of almond filling. 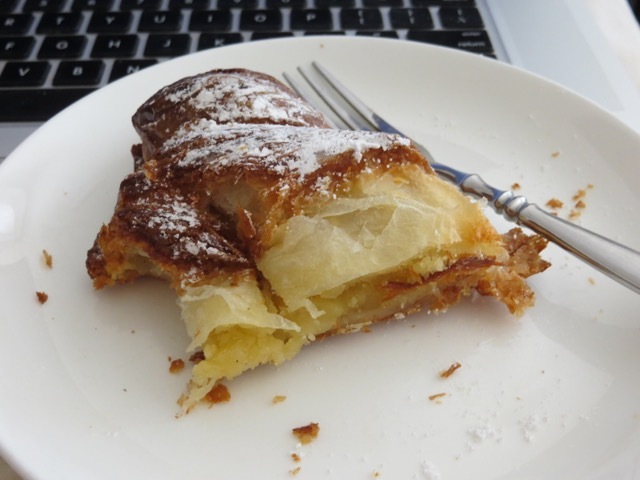 The pastry was flaky, a bite filled me with a mouthful of butter. It was very good, but I would not wait three hours for it again. Perhaps I should have heeded the passerby’s admonition: “It’s not worth it”. Posted by Robert Wu on Sunday, August 21, 2016, at 6:59 pm. Filed under Uncategorized. Follow any responses to this post with its comments RSS feed. You can post a comment or trackback from your blog.